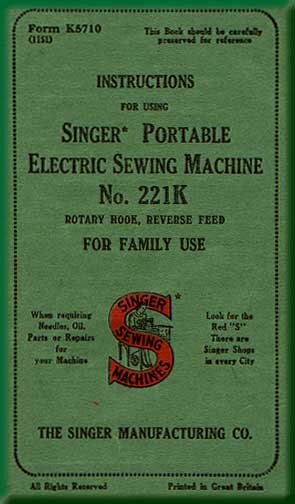 This is a high-quality reprint of the original Singer Featherweight 221 manual. Same size as the original, it slips easily into your carry case for reference on all kinds of machine set-up, adjustments, and service. Sturdy cover stock and heavy paper weight make this manual more durable than the original.